Amazon factories, with their insane, round-the-clock delivery schedules, are notoriously hellish places to work. But life at corporate Amazon isn’t exactly a picnic, either. Here, CEO Jeff Bezos’ terrifying workplace manifesto permeates every aspect of life. In a fascinating exposé that interviews more than 100 current and former Amazon employees, The New York Times paints a detailed picture of what it’s like to work at the retail giant’s Seattle offices. While Google and Facebook motivate workers with gyms, meals and benefits, Amazon, the Times says, “offers no pretense that catering to employees is a priority,” instead insisting on maximum performance all the time, eroding work-life boundaries, and encouraging its “Amabots” to harshly criticize themselves and each other for their shortcomings. “Good” employees at Amazon toil long hours, rarely take vacations, and never complain about their workload. Managers expect to receive immediate responses to emails sent after midnight, and will follow-up with texts if their messages go unanswered. Because team members are ranked, and those at the bottom get eliminated every year, it’s in everyone’s interests to cut down and outperform everyone else. That’s made easier by Amazon’s “Anytime Feedback Tool,” which allows employees to snitch on one another when they notice officemates taking long lunch breaks or leaving work early. Oh, and if you have any shred of a personal life or bodily ailment, Amazon is probably not the best place to work. The Times notes several disturbing cases wherein employees have been criticized for scaling back their hours to take care of sick and dying family members or small children. A woman who had thyroid cancer was given a low performance rating after she returned, while another woman suffering from breast cancer was put on a “performance improvement plan” because her personal “difficulties” had interfered with fulfilling her work goals. This may sound pretty inhumane, but as the Times points out, it’s also the natural consequence of a corporate culture where employees are literally seen as data points on performance charts. Speaking of data: Corporate managers at Amazon use a deluge of real-time consumer metrics to find out when pages aren’t loading quickly enough, or when stocks on consumer items fall a bit low. The Times reports that employees will regularly receive tome-like printouts containing these damning details, and can be pop-quizzed on any of thousands of numbers at meetings the following day. When an employee can’t recall exactly how many garden gloves were in stock the previous week, she’s criticized even more. Naturally, many Amazon workers combust under the pressure, falling physical ill or suffering emotional breakdowns (“Nearly every person I worked with, I saw cry at their desk,” said former Amazon employee Bo Olson, who worked in book marketing). Or, they very wisely chose to leave Amazon. 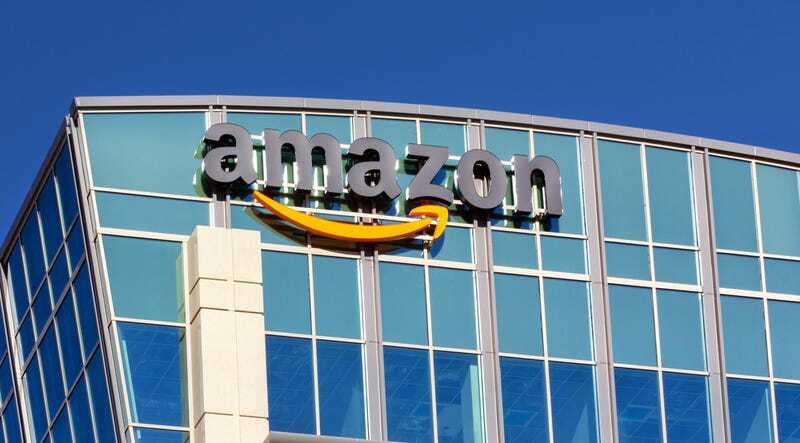 “The pattern of burn and churn at Amazon, resulting in a disproportionate number of candidates from Amazon showing at our doorstep, is clear and consistent,” said former Amazon employee Nimrod Hoofien, now a director of engineering at Facebook. But perhaps even more disturbing is the fact that many workers seem to internalize the hyper-social Darwinist work environment, becoming so obsessed with their performance scores that they prioritize work over everything else in their lives. Read the full account over at the New York Times. Could you please include that employee’s rebuttal in your coverage, either in full or in excerpts with a link to the full piece?